There is only one SICK Group – but many opportunities to start a professional career full of potential with us or our subsidiaries. Various sites in Germany, from Hamburg in the North and Überlingen in the South, offer a range of specialisms and tasks for you to get to grips with. And for anyone who wants to travel, a wealth of opportunities are available at our many subsidiaries, holdings and representative offices around the globe. But wherever you are working enthusiastically for SICK: There is so much that links us across all our sites, countries and continents: This is expressed by our core values: Independence, Innovation and Leadership. People who think and act independently. Who develop new solutions, bring them to maturity and ensure their economic success. In an atmosphere of trust and confidence, characterized by high management demands, responsibility, farsightedness and an inspiring working environment. SICK STEGMANN GmbH is the Group's largest subsidiary and has been a vital partner to industry for six decades. The product portfolio extends from engine feedback systems for drive technology through to encoders for the mechanical engineering industry. 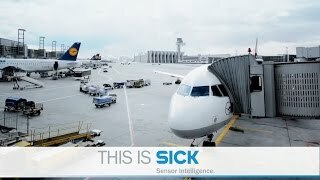 As a member of the SICK Group, SICK Engineering GmbH, which is headquartered near Dresden, specializes in the development and manufacture of ultrasound flowmeters for the oil and gas industry as well as in dust measuring devices for a range of industry sectors. If you are interested in positions vacant at SICK Engineering GmbH, please call the HR department on +49-35205-524-958, -11 or -47. From its Düsseldorf base, SICK Vertriebs-GmbH supports customers from a very wide range of industries active in the German market and successfully markets all the products manufactured by the Factory, Logistics and Process Automation segments. If you are interested in positions vacant at SICK Vertriebs-GmbH, please call the HR department on +49-211-5301-188 or -187. 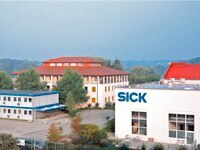 SICK is represented by two subsidiaries in Hamburg. Hamburg is home to a part of the Analyzers division as well as SICK AG' Central Research & Development sector. The Analyzer division's portfolio comprises products and services for applications in the fields of gas and liquid analysis, dust measurement, tunnel sensors, and data acquisition and analysis. A section of the Identification & Measuring division also has its premises in Hamburg. This is active in the development, production and worldwide marketing of products for the barcode & RFID, vision, distance and ranging fields. In Karlsruhe, SICK AG is represented with the business field Development. In Reute - located some 15 km from the SICK Group's head office in Waldkirch, SICK AG is represented by its Analyzers division. The Analyzer division's portfolio comprises products and services for applications in the fields of gas and liquid analysis, dust measurement, tunnel sensors, and data acquisition and analysis. A section of the Identification & Measuring division also has its premises in Reute. This is active in the development, production and worldwide marketing of products for the barcode & RFID, vision, distance and ranging fields. Sections of both the Corporate Solution Centers for Process Automation and Systems are also present in Reute. SICK AG also has a presence in Überlingen with a section of the Analyzers division. The Analyzer division's portfolio comprises products and services for applications in the fields of gas and liquid analysis, dust measurement, tunnel sensors, and data acquisition and analysis. The region: Lake Constance at the junction of four countries. All the central departments of SICK AG are present at the SICK Group's head office in Waldkirch. From the Central Development department, through Central Production and on to Marketing, Controlling and Human Resources. Waldkirch is also home to the Presence Detection and Industrial Safety Systems divisions, parts of the Identification & Measuring division and the Industrial Instrumentation and 3D Compact System sectors. 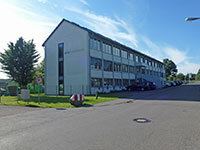 The Corporate Solution Centers for Factory and Logistics Automation also operate out of Waldkirch. Waldkirch is located approximately 15 km from Freiburg im Breisgau. 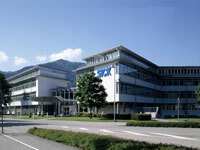 In Witten, SICK is represented by SICK Atech GmbH with the business fields Research & Development. SICK is present around the globe with more than 50 subsidiaries and holdings as well as very many representative offices. You can find information on positions vacant in our international subsidiaries on the relevant country pages.